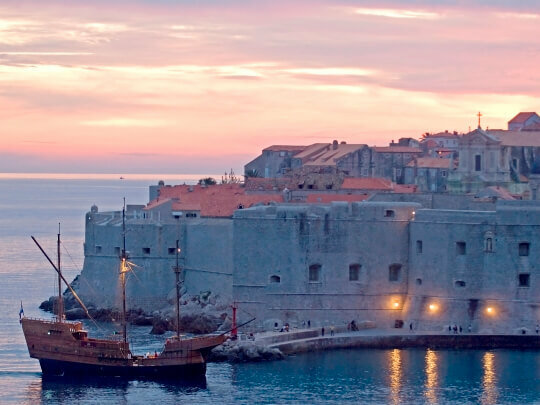 Crown your day by sailing into the sunset and dining on the spectacular backdrop of the starlit Dubrovnik Old Town. 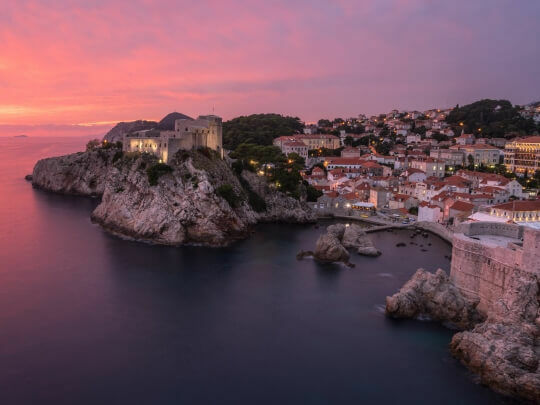 Aboard a three-mast ship Karaka, glide across the sparkling Adriatic Sea, watching the walls of Dubrovnik dress for the evening as the skies around them explode with color. Complete with cocktails and a dinner, this experience rings true at the Sunset and Dinner Cruise aboard Karaka ship. 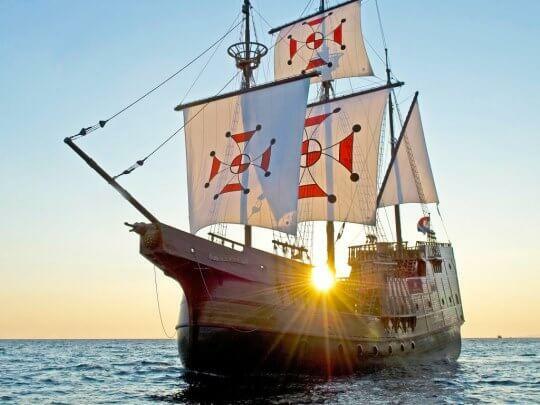 When the sun announces its descent, the historic wooden ship will open its sails to depart from the Old Town harbor. 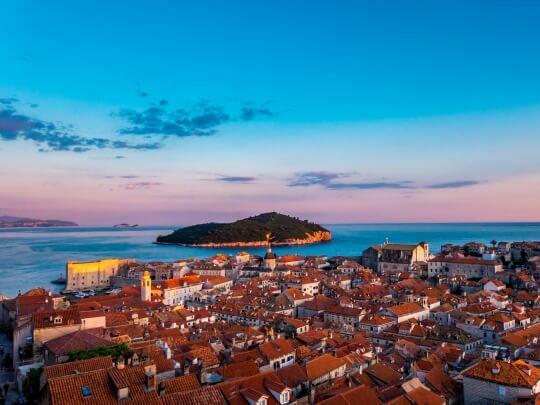 Sip on a cocktail as the spectacular city walls bathe in the golden hue of the sundown and the mellow waves caress the lacey shores of Lokrum Island. A perfect backdrop for some great photos! 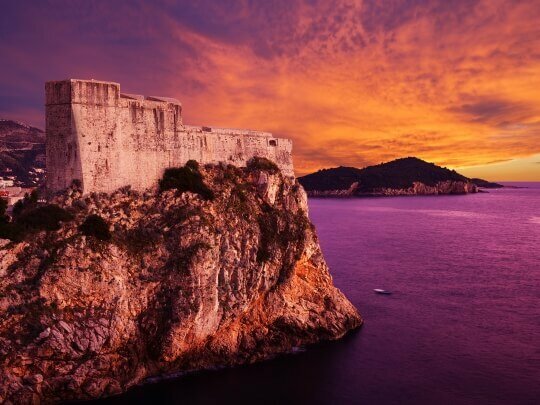 As dark sets in, the buffet opens, quickly turning this romantic moment into a feast of tasty local dishes. 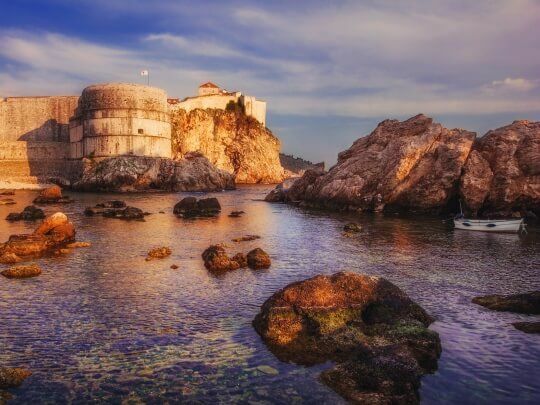 With atmospheric Dalmatian music playing in the background, enjoy a moonlight-colored moment out at the sea before heading back to the Old Town.